I love making my own salsa. The flavor just cannot be compared to store bought! The difference is so crazy delicious. Every time I make homemade salsa, I wonder why I don’t make it every week. The flavor that it adds to whatever mexican dish I’m serving is so worth the few minutes of prep work! The longer you let it marinate, the more the flavors can marry and become even more delicious. 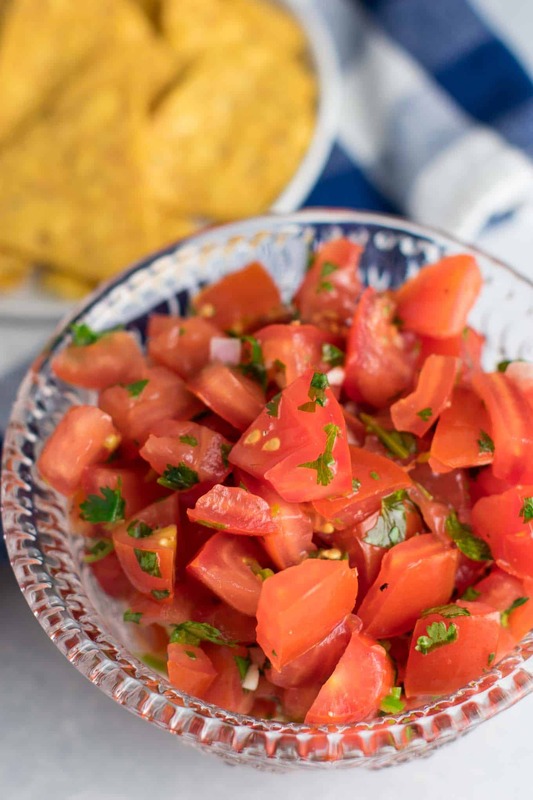 I used both normal tomatoes and cherry tomatoes in this salsa for variety. 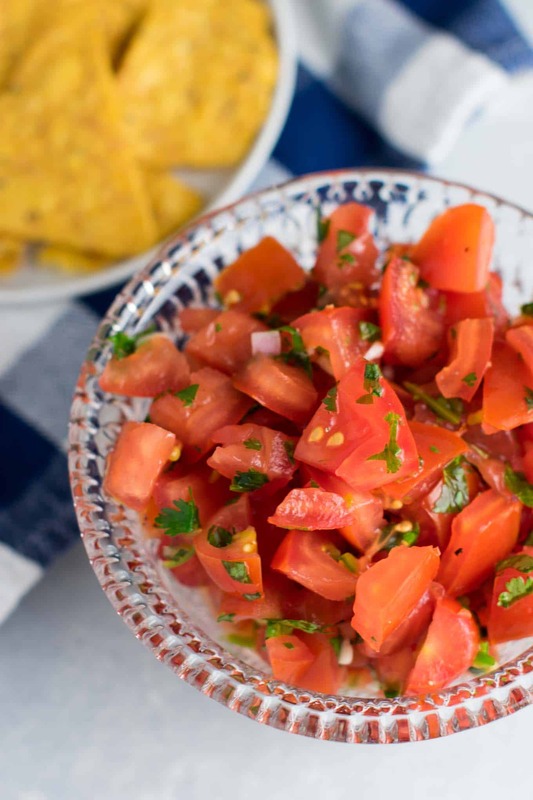 The texture is more similar to a pico de gallo with the bigger chunks of tomatoes. A note about the jalapenos: to avoid burning eyes, use rubber gloves or put your hands inside ziploc bags when cutting jalapenos, as well as a cutting board that you will not use for anything else. As a contact user, this is something that I had to learn the hard way! Try this salsa with my homemade guacamole and my enchilada tofu burrito bowls! 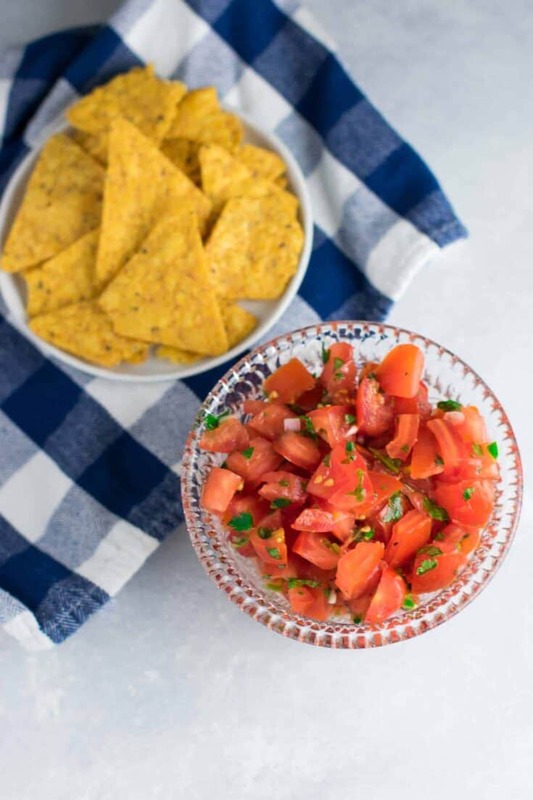 Easy Homemade Fresh Salsa recipe – take mexican night to the next level or serve alone with chips, either way you’ll love this easy recipe! Combine all ingredients in a medium sized bowl and cover with plastic wrap. Allow to marinate for the fridge for at least 30 minutes or longer. The longer it sits the better the flavor will be!